BIWTA Career Opportunity 2018 found here. 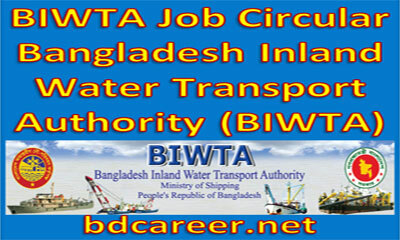 Bangladesh Inland Water Transport Authority (BIWTA) will recruit for various Posts circulated a recruitment notice of Career Opportunity on BIWTA Job Circular 2018. Interested and eligible Bangladeshi Citizenship candidates are requested to apply after fulfilling the circularized conditions and instructions. 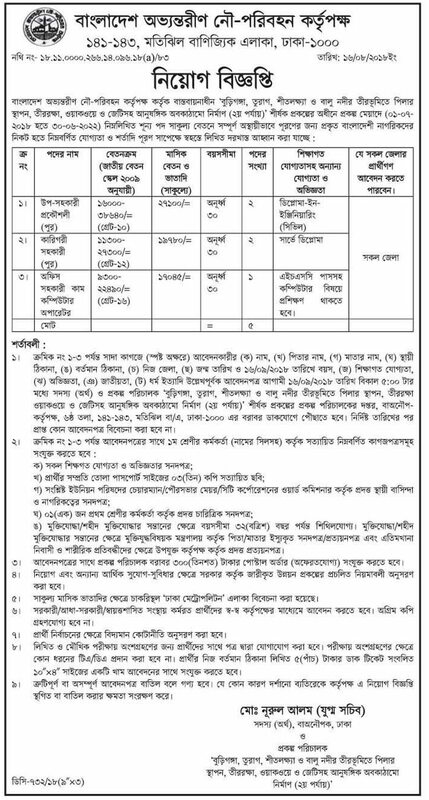 Deadline for Submitting Application is seen the attached image job circular for details. Bangladesh Inland Water Transport Authority (BIWTA) is a government organization began his journey in then East Pakistan Government on 31st October 1958 promulgated an ordinance called the East Pakistan Inland water Transport Authority Ordinance 1958 (E.P. Ordinance, NO LXXV of 1958). There are 4,290 posts in the present set up of the organization approved by the Government. of these, 574 are officers and 3,716 are staff and workers. BIWTA is searching for few highly motivated, dynamic, energetic experienced and pro-active people to lead the energetic team.